When I was a kid, my mom nicknamed me Grace, because grace is something I sorely lack. I’ve tripped over so many kickballs in my life that I can’t bother to be embarrassed. But, despite the fact that I’ve been clumsy since I learned to walk (and have the scar in my eyebrow to prove it), I insist upon wearing the most ridiculous shoes ever created. Those who know me best will shoot me strange looks whenever I show up with a new pair of two or three-inch clodhoppers. Don’t I remember all the times I ate it on the dance floor? Did I already forget the black ice incident of 2011? Practicality isn’t the issue, covering up the most hideous part of the human body with something awesome is. 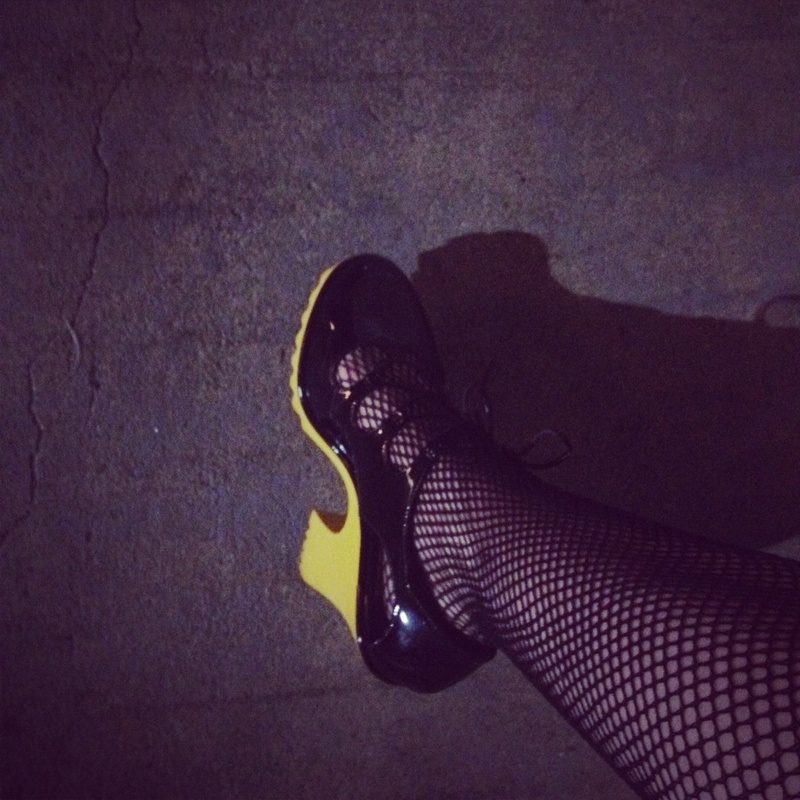 I figured an art event, like the one Shannon and I attended last night, was the perfect place for these shoes. Art events don’t last all night and don’t involve dancing. This one, however, required street parking. In Hollywood. On a Saturday night. We parked about four blocks away and walked down Santa Monica Blvd., whose sidewalks need a lot of love. I hit a massive crack and felt my ankle awkwardly, almost painfully, twist. I didn’t fall. I was suddenly grateful that my mom always insisted that I drive in flats, that I didn’t ignore her and that those flats fit into my handbag. I made it through the party without incident, but, as we were preparing to leave, I thought of the massive crack on Santa Monica and changed into those hot pink ballet shoes. I think I’ll save the Isabel Toledos for valet parking nights. This entry was posted in Fashion by lizo. Bookmark the permalink. Hey, Evelyn. My shoe size is far larger than a 7.5 🙂 I really love them too much to part with them. Sorry.